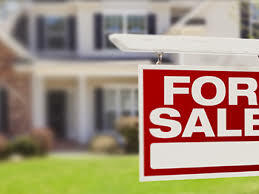 Lets face it, selling a house in the winter months has its challenges! Here are some tips to help owners with some of those struggles. Pull up the blinds, open the shutters, push back the drapes on every window. Turn on every light in the house, including appliance lights and closet lights. It is a dreary time of year, so brighten your house as much as possible. Washing the windows enhances the precious daylight hours. Clean out cobwebs and dust furniture, ceiling fan blades, and light fixtures. Polish chrome faucets and mirrors. Clean out the refrigerator, Wash or polish floors, and vacuum daily; if you have plush carpeting, vacuum in one direction. Empty trash and recycling bins every day. You want the temperature inside to be comfortable and to give the buyer more incentive to linger, especially on a cold day. So pump up that thermostat. 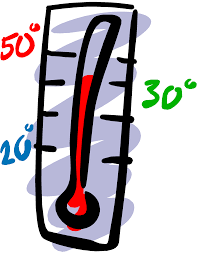 It’s better to heat the house a degree or two warmer than usual and then set the temperature at normal. If you have a gas fireplace, then light it up! Many people are allergic to certain scents and deodorizers, so don’t spray the air or plug in air fresheners. Don’t burn candles or spray perfume in the bedroom for the same reason. If you’re going to bake cookies or simmer spices in water on the stove, put out munchies so that prospective buyers aren’t disappointed. Don’t neglect the aural ambiance. Have soft music playing throughout; light jazz or classical music is always soothing. If it’s the festive season, play Christmas music! Don’t turn on a commercial radio station; instead stream your tunes from a computer or tablet, using iTunes or a service like Spotify, so that your music will be continuous. You want rooms to appear especially warm, cozy, and inviting. Make your living room romantic by placing two champagne glasses near a champagne bucket on the coffee table; toss afghans or throws across the arms of your sofa. Dress your dining room table for a dinner for two. In the bedroom, set a breakfast tray on the bed containing a coffee cup and saucer, napkin, and reading material. Turn your bathroom into a spa by hanging plush robes on the door, placing washcloths and towels in baskets, arranging a grouping of soaps, lotions, and shampoo.